In today’s very competitive landscape your website needs to showcase your property at its best. 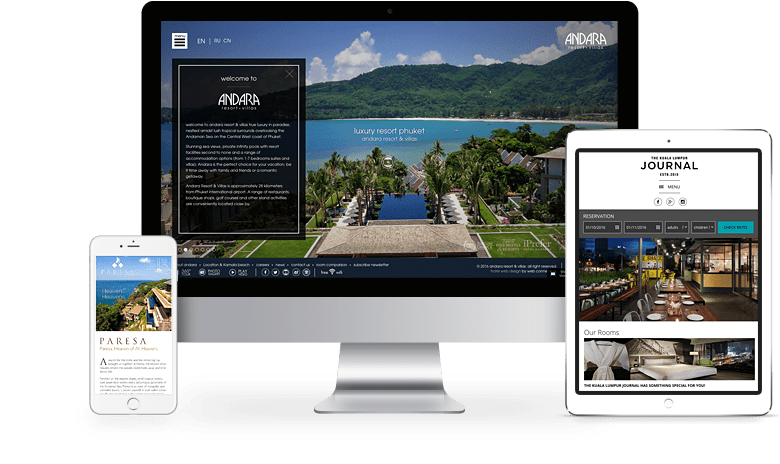 That is why iko.travel has partnered with Web Connection Asia to offer you the best web-design services. Your website is one of your best asset and our readymade designs look fantastic while offering functions and features that meet the needs modern online distribution. We create websites just for hotels that grow conversions and increase profits. Our responsive designs are compatible with all devices so travellers can book on the go. Choose among our beautiful ready-made mobile-friendly designs that will fit your property and increase conversion. 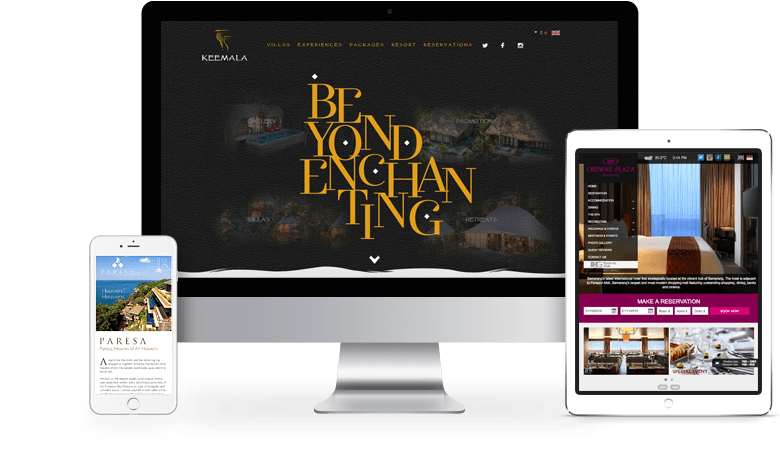 Ideal for hotels that need a functional, good looking website, yet don't have the time, expertise or patience to do it alone. Onsite and offsite SEO optimisation, ensuring successful online business. Our responsive designs are compatible with all devices so travelers can book on the go. Straightforward and easy to use CMS platform to keep your content and media up to date. Our web-design specialists will guide you through the process up until your website is ready and live.